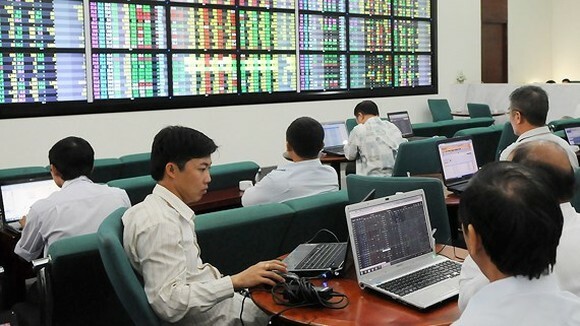 The securities market is likely to be the most attractive investment channel for investors in the Vietnamese economy this year, analysts say. They attribute this to the Government’s efforts to improve trading conditions, upcoming sales of large-cap State-owned enterprises and undervalued shares. The securities market has witnessed strong growth since the beginning of 2017, surpassing analysts’ expectations, and promises to break its old peak of 1,075 points made in November 2007. 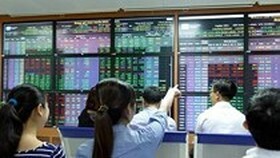 The benchmark VN Index on the HCM Stock Exchange has gained nearly 51 percent since the end of 2016 and the minor HNX Index on the Hanoi Stock Exchange has grown 48.7 percent in the same period. Trading liquidity rose with an average value of VND5 trillion (US$222.2 million) in each session, an increase of 63 per cent year-on-year; and market capitalisation increased to $155 billion, equal to 74.6 percent of the nation’s total gross domestic product (GDP), according to the State Securities Commission. Foreign investors posted a net buy value of roughly $1.2 billion in stocks and $750 million in bonds, and raised the total value of invested assets to $31.4 billion, almost twice the figure recorded in 2016. 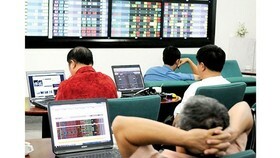 The number of newly listed shares on the local markets increased by 30 percent from the beginning of the year as a number of large-cap firms started trading their shares, like VPBank, brewer Sabeco and petrol dealer Petrolimex, providing high-quality stocks for investors. According to banking and financial expert Can Van Luc, local markets are set for a 15-20 percent growth this year – higher than average rates in the region and the world. Chairman of Saigon Securities Inc, Nguyen Duy Hung, said that Viet Nam’s macroeconomic factors were expected to further improve in 2018, supporting further development of the securities market. 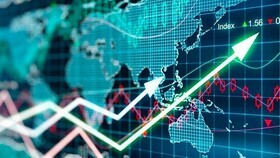 The economic outlook reports of some financial institutions like the Asian Development Bank, World Bank and HSBD have predicted that the Vietnamese economy would advance this year with inflation and lending rates under control, accompanied by rising foreign reserves and foreign direct investment (FDI). 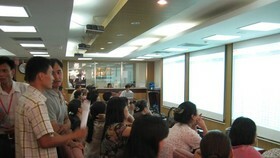 Furthermore, the Vietnamese economy is set to benefit from the recovery of neighbouring markets like Japan and China. Hung said that expected changes in Government’s policies would also strongly boost the securities sector in 2018. He said the industry must complete five tasks this year: the merger of the two local exchanges; introduction of new securities products; completion of the securities law; strengthening the Government bonds market; speed up equitisation of SOEs. The securities market also expects to draw more foreign investment as the Government tries to make private sector the central factor in national socio-economic development and push more SOEs to list shares on the local exchanges, he said. 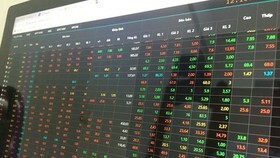 These factors are widely expected to increase the number of high-quality stocks, raise the percentage of free-floating shares, increase trading liquidity and help raise the Vietnam’s securities market from “frontier” to “emerging” status, drawing more attention from foreign investors. According to the Mirae Asset Securities Company, there are plenty of opportunities with stocks that are not among top 20 largest firms by market capitalisation as they are undervalued at present. The company wrote in its 2018 outlook report that the stock market performance thus far has been mainly driven by the top 10 caps, which have contributed 210 points to the yield-to-date increase of the VN Index, accounting for 76 percent of the increase. Meanwhile, the top 10 declining stocks only pulled the benchmark index down six points, or just 2.8 percent of the growth of the top 10 largest stocks. “The rally of 2017 was relatively narrow, and most investors were likely not able to participate in it. The broader market has underperformed the headline number, and the valuations of most stocks are now lower compared to their historical performance,” it said. The property sector is typically one that draws a lot of investor attention, but there have been warnings of a strong imbalance between supply and demand, and unsustainable development of the industry. 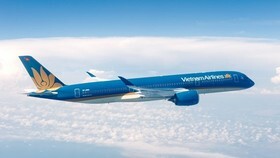 According to Neil MacGregor, managing director of the foreign property service and consultancy firm Savills Vietnam, foreign investors are very keen on participating in Vietnam’s property sector as the country’s GDP has increased impressively, rapid urbanization is happening as is infrastructure development. However, the property market in fact was quiet in 2017 compared to the previous two years despite real estate firms reporting high earnings for the 2015-2017 period. MacGregor told local media that there was an increasingly large gap between supply and demand in the property market that could dampen the market’s absorption, especially in high-end segments like condotel, officetel and hometel. 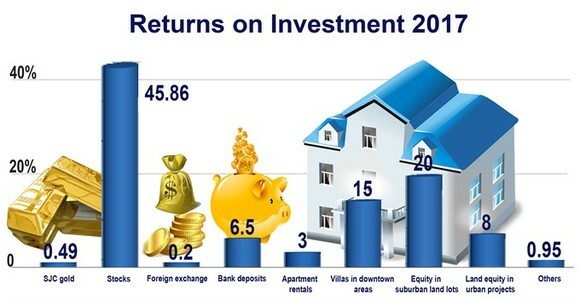 “There will be a big change in the market structure in 2018 to diminish the surplus of current products, which will drive the market back to its healthy, sustainable development track, and the segments of cheap products will be boosted by strong demand from low and middle-income buyers,” the HCM City Real Estate Association (HoREA) said in a November report. Secondary investors should be careful with property projects that promise a premium of 8-12 per cent each year for the next 8-12 years, as there was no protection for investors in such projects, HoREA added. Among other investment channels, gold and foreign currencies are forecast to slow down in 2018 as investors may be worried about market volatility and the Government’s efforts to minimise their impacts on economic development. Nguyen Duc Hung Linh, head of market analysis and investment advisory at SSI, said that the gold market this year would be quite volatile on global political and economic changes. Also, domestic gold prices do not move in tandem with global changes, he said. Global gold prices have moved up 12 percent on average since January 1, 2017, Bloomberg data shows. Meanwhile, the price chart of Bao Tin Minh Chau Gold Jewellery Company indicates that domestic gold prices have moved down nearly 0.5 percent. Financial-banking specialist Nguyen Tri Hieu said that the domestic gold market has remained as global market volatility was not strong enough to push local gold prices strongly, and there were other investment channels that drew investors’ attention away from gold. The stability was also caused by the Government’s efforts to reduce speculation on and collection of gold products as well as the policies to stabilise the macro-economy, iinflation and foreign exchange rates, Hieu added. He said that these moves by the Government have made Vietnamese people and investors see that gold is not the only safe haven, thus reducing demand for the yellow metal. Demand for gold in the domestic market could decline further, with the State Bank of Vietnam (SBV) collecting feedback on a decree on gold trading that would give the central bank a monopoly on accepting gold deposits. The new decree will replace Decree 24/2012/NĐ-CP and get rid of certain conditions for companies that make gold jewellery. Hieu said that if the decree is passed, the current stability of domestic gold market would be strengthened. If gold and jewellery products were traded freely, it would cause speculation and volatility in the domestic market, he added. He also said that there would be much volatility in global markets as demand for gold as a safe asset always rises when there are tense political and economic events, as in the Middle East and the Korean peninsula, and Britain leaving the European Union. Meanwhile, the foreign currency market is also expected to remain calm in 2018, thanks to the stable exchange rate between the Vietnamese dong and the US dollar. The reference exchange rate between the two currencies set by the SBV has changed little in the past one year, closing Wednesday at VND22,405 per dollar, compared to VND22,425 at the beginning of 2017. According to economist Vo Tri Thanh, the pressure on exchange rate may not be too hard in 2018 if Viet Nam is able to maintain its trade surplus and keep inflation around 4 percent, thus raising foreign reserves to reduce the dependence on foreign currencies. 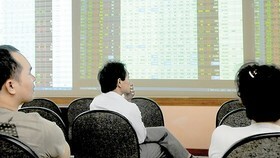 The Vietcombank Securities Company (VCBS) has forecast that the exchange rate between the dong and the dollar would fall by less than 3 percent this year, thanks to abundant supply of foreign currencies through direct and indirect foreign capital flows into the sales of SOE shares and the development of special economic zones.